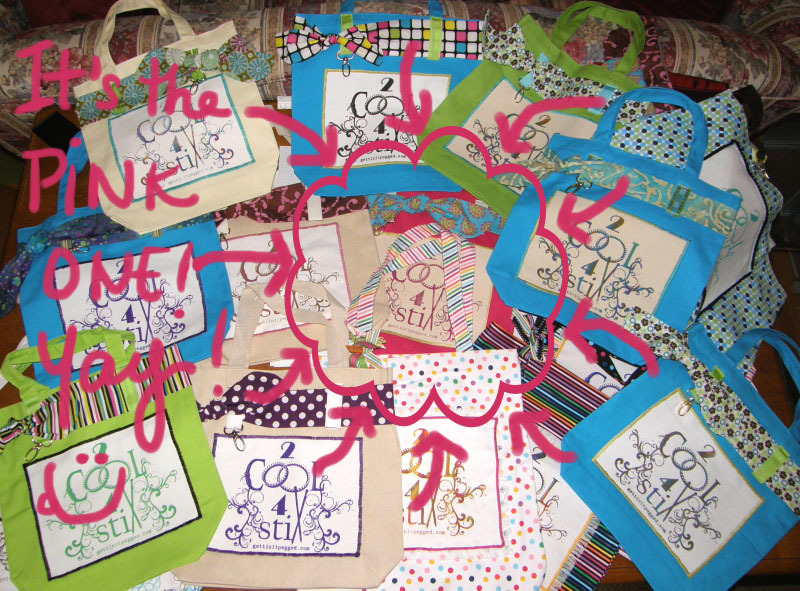 So sorry it’s taken me all day (and evening) to post the winner of the drawing of our little comment contest for the 2 Cool 4 Stix Tote. I’ve been literally running all day long and only had the chance to sit down to take care of it just now. I hope you haven’t been pulling your hair out with anticipation. hahaha… no, I know I’m not quite that exciting, lol! But I will point out to you the winning tote that was hiding in the previous picture. It’s really quite a cutie. I love it’s cheery nature and spunky style. Unfortunately you won’t be able to see it very well, as it’s kind of buried in there, lol. Oh, yes! I have a winner to announce, don’t I? Alright… let’s get to it then, with not another delay, shall we? The winner is number 21! Now see? Wasn’t that worth the wait? What? You don’t know who the lucky number 21 actually IS??? oh. 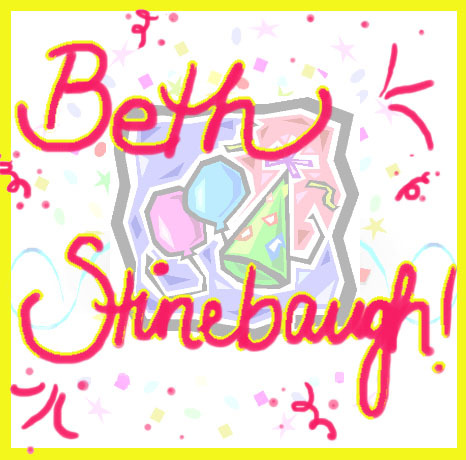 …and once again, HUGE Congratulations, Beth! Remember to send your mailing address to me at Bethany@gettinitpegged.com. Thanks a bunch! 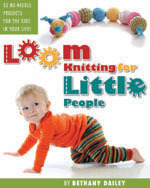 This entry was posted in Blogging, Contests, Free Loom Patterns, Gettinitpegged Gear, Loom Knitting, Looming Patterns. Bookmark the permalink. I wasn’t even aware of a contest..oh well congrats to the winner and thanks to Bethany for making it happen! Super Beth! youe idea is totaly amazing very clever too cant wait to see a picture of it too!!! Has anyone made a tree skirt yet and do you have photos?